Record Large Bass, caught in an LBAA tournament. Martha was born and raised in central California. She fondly remembers the many fishing trips with her family; mostly for trout, perch, or crappie. She credits her mother as being the major influence in developing her love of angling. Martha’s passion for bass began in 1987 when she and her husband started tournament fishing as a team on the West Coast. Their experiences included noted fisheries such as Clear Lake and the California Delta. Business opportunities brought them to South Carolina in 2001. 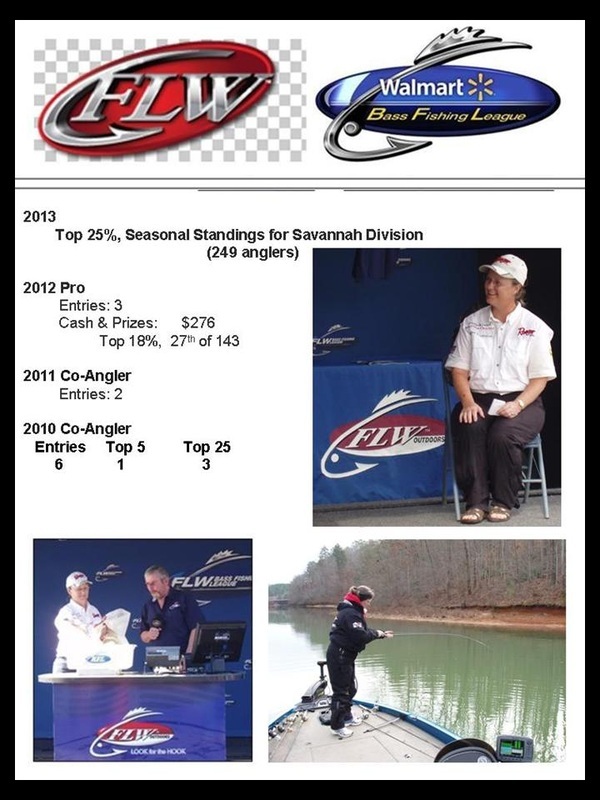 Her team highlight is claiming the 2011 National Championship Title with the American Bass Anglers Couples. 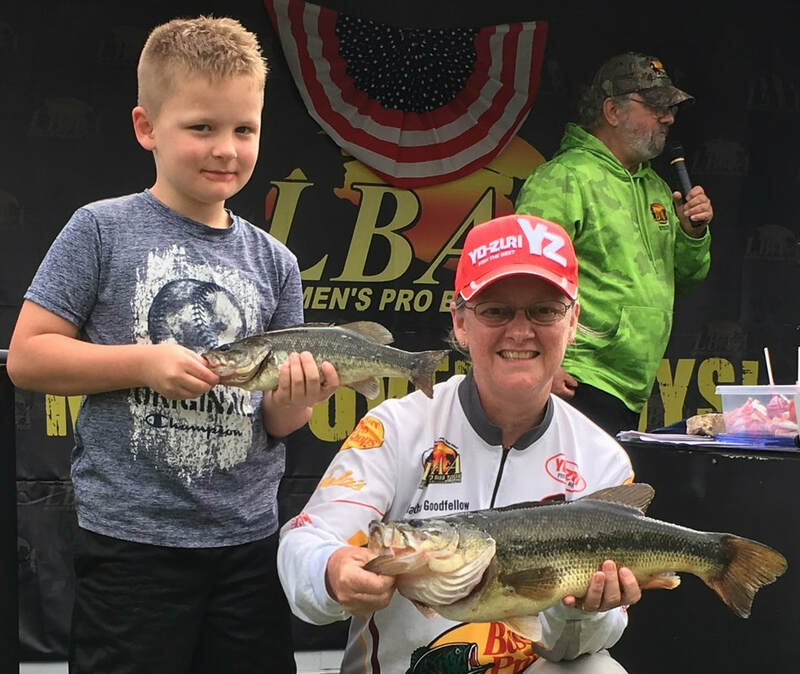 Fishing the Women’s Bassmaster Tour and Lady Bass Anglers Women’s Pro Tour have been great for Martha. These experiences broadened her solid base of understanding fisheries throughout the country. She had a major success in 2009, when she won a Triton boat in a Womens Bassmaster event in Arkansas. 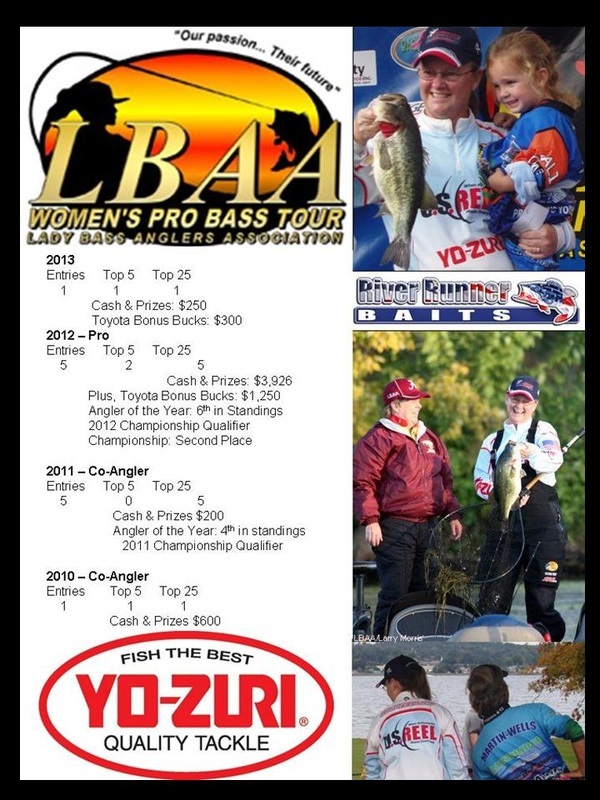 Martha transitioned to fishing as a professional in the Lady Bass Anglers National Tour in 2012. In her first tournament as a pro, she captured a third place finish on Texas’ Lake Ray Hubbard. Martha finished the Lady Bass Angler season qualifying for the Championship on Alabama’s Lake Guntersville ……. where she finished second place in the 3-day event. Martha’s personal career background includes a variety of assignments with AT&T. She ran a successful small business as the Chief Financial Officer. Her family demands also led her to be PTA President, 4-H Leader, Scout Leader and a variety of other community service roles. Member of: Lady Bass Anglers Association, B.A.S.S., and American Bass Anglers. Martha is the director for American Bass Anglers South Carolina Couples Division.